American Renegades - Blu-ray Review - ReDVDit! Renegades, known as American Renegades in the United States, is a 2017 action thriller film that was directed by Steven Quale and written by Luc Besson and Richard Wenk. 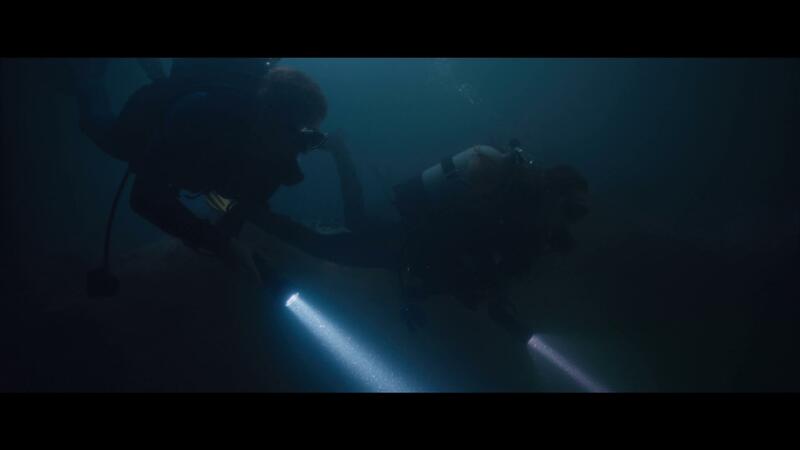 The film stars Sullivan Stapleton, J. K. Simmons, and Charlie Bewley, and follows a team of Navy SEALs that is hired to salvage Nazi gold that has been stored in a bank vault in a submerged town at the bottom of a Bosnian lake. It was released on September 1, 2017 in Germany and September 6, 2017 in France, and will be released in the United States on January 22, 2019 on Blu-ray and DVD by Lionsgate Home Entertainment. Starting off in August 1944, German forces are forced to move captured paintings and approximately 25 tons of gold ingots from Paris to a safe location. The gold is then transported to the small Bosnian town of Grahovo where it is then put into the bank vault. German forces arrest all of the townspeople, while a little boy escapes. In March 2015, EuropaCorp set the film for a July 15, 2016 release. In February 2016, the film was pushed back to January 2017. In May 2016, it was again pushed back to January 2017; with it being pushed back again to February 3, 2017, and the title of the film was then changed to Renegades. In January 2017, the film was pushed back yet again twice, ending up with an undetermined release date. However, Lionsgate Home Entertainment has since gained the rights, and will release the film on to Blu-ray and DVD near the end of January 2019 under the new title of American Renegades. I’ll be first to admit that when American Renegades arrived at my doorstep, I didn’t completely look forward to it. However, after sitting down with my wife to watch it last night, I found myself completely engrossed in the storyline, the action, and eagerly waiting to see what would be happening next. As far as the accuracy of those events are concerned, I can’t honestly vouch for that. 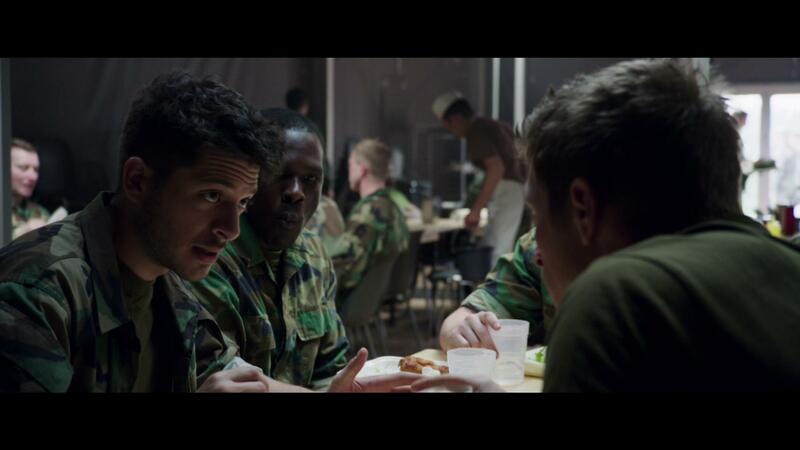 But, the story was more than enough to grab my attention, maintain it through out and sitting completely in awe of the intensity of the missions that were being carried out by the SEAL team. 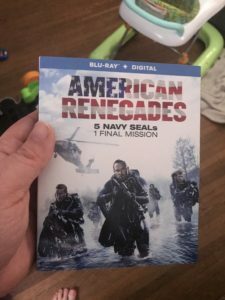 The overall visual presentation of the Blu-ray release of American Renegades was one that I will certainly be referencing in the future as some of the action sequences of this movie were some of the best that I’ve personally seen in recent times. Some of the more scenic parts that featured the cities, and the horizon really shined on my living room TV. 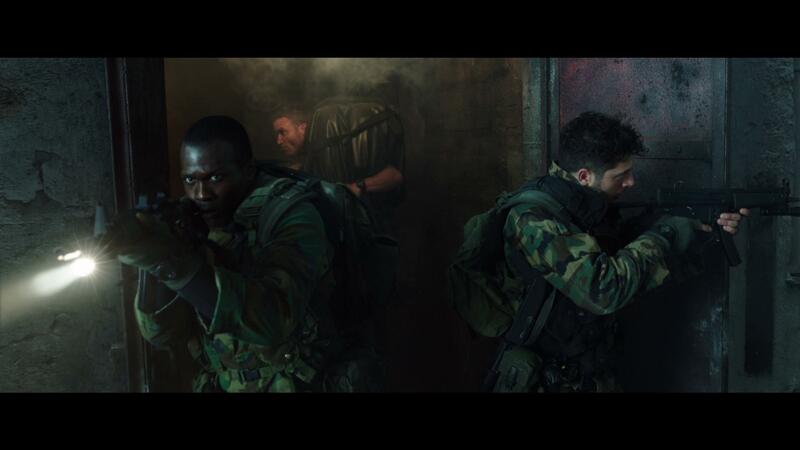 However, if I were to pick a sequence to reference and note that stood out the best, it would definitely have to go with the explosions that were being carried out at approximately the 15’ish minute mark of the movie as RPG’s were being fired toward oncoming enemies. The gross amount of detail that was included with the explosions were natural, intense, and really were quite the spectacle. Packaged with an English DTS-HD Master Audio 5.1 track, the Blu-ray release of American Renegades really packs a powerful punch when you watch it through your home theater system. Sure, I think this movie would have been much more impactful had they opted for a 7.1 mix or a DTS:X mix. But, the overall amount of raw power that roared through my home theater really did a number and made my living room floor shake. 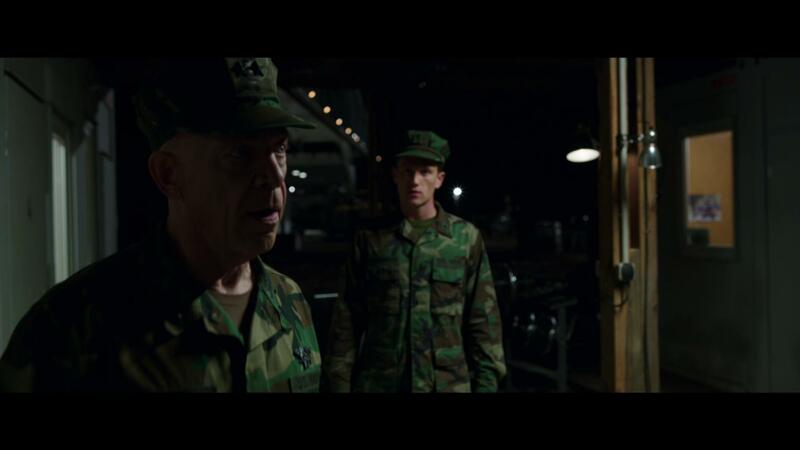 The dialogue is spoken cleanly, ensuring that the characters could be heard, and there was absolutely no need to adjust the volume levels as the movie progresses. The Blu-ray release of American Renegades comes packaged in your standard single-disc Blu-ray amaray case. 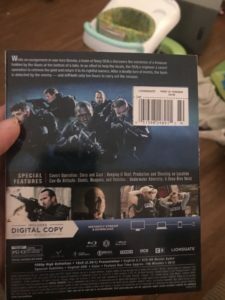 Within the case, the standard Blu-ray copy of the movie. The disc, featuring no artwork that’s related to the movie outside of the standard release text and generic solid colored background. There are no DVD copies of the movie included; but, there is a digital copy redemption pamphlet that’s been included. There is also a slipcover that’s been made available in the original pressing of the release that features the same artwork that’s been provided on the case. Overall, I was extremely impressed with American Renegades. The movie being something that I wasn’t really looking forward to after it arrived at my doorstep; and having not really seen any promotional material for it, I was certainly too quick to judge this release. The visual and audio presentation of this Blu-ray were excellent, and really did a great job at conveying the storyline, putting us right in the middle of the action, and generally making it a powerful and enjoyable experience, despite the fact that I think that a fresher codec on the audio could’ve yielded a more powerful experience. The special features were pretty thorough and really showed a great deal of the work that went into making the movie. If you’re considering this release for your collection, I would absolutely recommend picking it up. Especially if you too have a home theater setup. 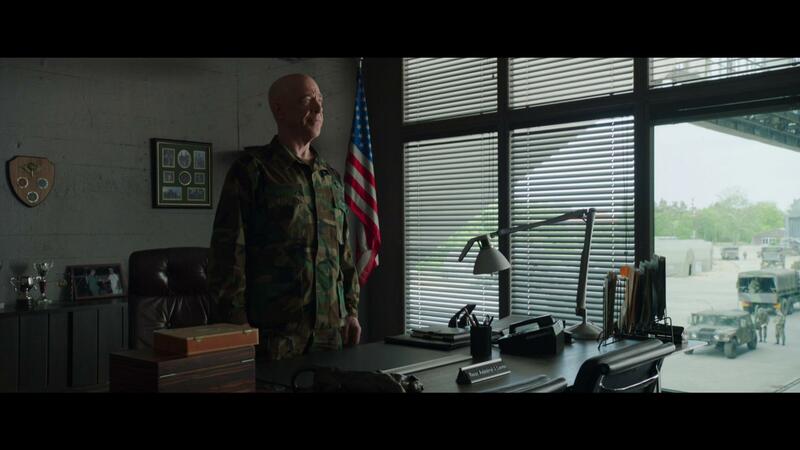 American Renegades is available on Blu-ray and DVD.